Willard’s fascination with the wonders of nature began in his early years when his mother would take her children and their friends for hikes into the hills nearby where they lived in Corona, California. He began photographing those scenes when he was given his first camera by his father at age 14 and that led to a lifelong career. In his teens, he roamed the deserts and wandered deep into the mountains where, as a self studied photographer, his images garnered the attention of prominent naturalists who published his photographs in well known east coast journals as early as 1915 when he was only 21 years of age. Over time, his photographic efforts helped foster the designation of several wilderness areas as national parks. Willard was drawn to the subtle hues and contrasts that he referred to as the “land of the purple shadow” as he roamed the southwest deserts. He established a studio in Palm Springs in 1922. There his wife Beatrice sold his photographs and extolled his artistry as she did throughout their many years together, while Stephen shunned the spotlight preferring instead to pursue his passion to portray the unique offerings of nature that he found along the dusty trails and replicated so faithfully in his darkroom. The Willards sought relief from the summer desert heat and established a second studio in Mammoth Lakes in 1924, a region of the Eastern Sierras that provided majestic landscape scenery in distinct contrast to his desert images for which he had gained his first notoriety. 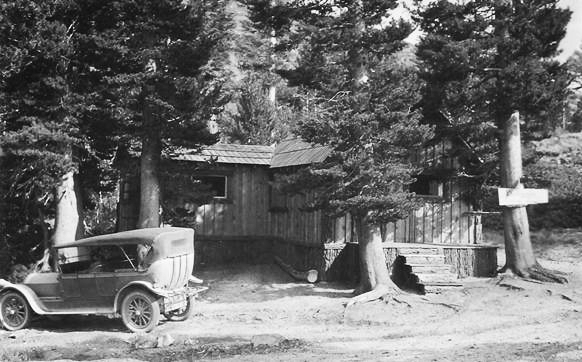 In 1947, the Willards left their home in Palm Springs, to operate only the studio in Mammoth Lakes where the wide open spaces of the Eastern Sierras suited Willard’s affinity for unspoiled solitude. Willard became a master of his craft, albeit his having to rely on the primitive equipment and methods that were available, especially in his remote, “off the grid” mountain studio. Through patience and expertise gained without even so much as a light meter, he was able to capture just the right exposures which he transferred from contact negatives directly to riveting photographic prints which compare favorably to better known photographers of his era. But that was not all. To provide even more entrancing images in color, Willard mastered the combined artistry of photography with painting in Rembrandt oils over enlarged photographs. The combination of these mediums adds texture and hues that illuminate the scenes portrayed with realism and beauty in an eye-pleasing manner that is unique to Willard’s work. As a shy man who was more interested in achieving excellence in his craft than the wide acclaim enjoyed by colleagues, who focused more intently on self promotion and business success, Willard’s work is only now gaining the prominence it rightfully deserves. Paul is full-blooded Pauite and Washoe and his native heritage is a great influence in his art and music. He is the great, great grandson of Capitan John, the last Chief of Yosemite. Free admission, donations to the musicians appreciated. Bring your own chair or blanket, food and beverages. Copyright © 2019 The Gallery at Twin Lakes. All Rights Reserved.